At EmergencyDentistsUSA.com, you will find a list of 24-hour dentists, along with dental clinics that offer emergency after hours dental care or walk-in dental appointments. Skip the trip to the emergency room when you can find a board-certified emergency dentist on Emergency Dentists USA, who is ready and waiting to address any dental emergency you might encounter. I had a severe toothache and couldn’t wait until Monday to get in to a dentist. I called Emergency Dentist USA and they were able to find a dentist that was open near me so quickly! I was able to talk to the dentist and get a prescription for medication to alleviate the pain until I could see the Dr. Thank you so much, I don’t know what I would’ve done without this service! Walk-in dental clinics in Austin are convenient dental clinics that allow patients to come in for dental work without a scheduled appointment. From our list below, Brident Dental and Vida Dental offer same day and next day appointments. There are also several after-hours clinics you choose from in the Austin area that offer extended weekday hours and even some weekend hours. The best example of this type of clinic would be Brident Dental since they are open until 7pm weekdays and have Saturday hours as well. Emergency 24-Hour Dental Clinics are clinics that offer dental services 24-hours a day. Lakeline Ranch Dental is a good example of this type of clinic. Although they are not open 24 hours a day, they welcome calls in the evening and on weekends and will try to accommodate you as best as they can in these emergency situations. Description: Call to be connected with the perfect Emergency Dentist in Austin, TX. Please don’t hesitate to use our referral service, we provide direct connections to many dental professions in your area and our service is 100% free, as well as open 24 hours a day 7 days a week. Description: This clinic in Austin goes the extra mile for their patients by taking care of their needs on the weekends or even the middle of the night if it’s an emergency. They also do not charge extra for these after-hours appointments, ensuring you can get excellent and affordable treatment any time of the day. They welcome calls at any hour, if it’s an emergency. Mon-Tues-Wed-Fri: 9am to 6pm, Thurs: 7:30am to 4 pm. They open the 1st and 3rd Saturday of every month, 9am to 6 pm. They accept cash, check, Visa, Mastercard, Discover and Amex. Description: Bridental Dental is an affordable family dentistry in Austin. All of the front staff speaks Spanish, and they welcome patients of any age. With extended weekday and Saturday hours, they are a great choice for a walkin dentist. Offers same day and next day appointments. Mon-Fri: 9am to 7 pm, Sat: 8am to 4:30 pm. Accepts most dental insurance plans, contact office to find out if your specific plan is covered. Description: Vida Dental is a family based, high technology practice with several doctors on staff. From cleanings to root canals, they offer a unique dental experience that is fun, affordable, interactive, and effective. Mon-Thurs: 9am to 6pm, Fri: 7am to 3 pm. They open Saturdays by appointment only. 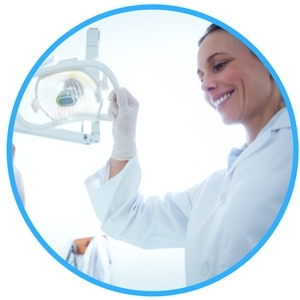 Emergency dental clinic visits in Austin are similar to a regular office visit. This means that routine or emergency x-rays and procedures are performed right inside the emergency dental clinic. Have your paperwork, health records, and insurance information ready. Be sure to arrive 15 minutes early to facilitate filling out paperwork. Make sure you know how you’re going to pay and if the dentist accepts your form of payment, cash, credit, or insurance. Ensure that the dentist you choose accepts your insurance. Let the emergency dentist know if you suffer from allergies to any type of medication or have health issues that could make dental care more difficult. 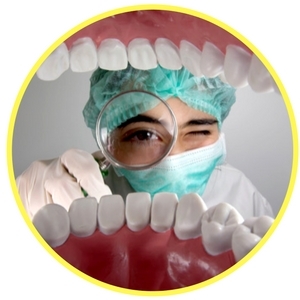 Be sure to mention specific medications that you take and any dental issues in the past. If you have any dental anxiety or fear of going to the dentist, be sure to let the emergency dentist receptionist know that you fear dental work and he or she will be able to help you feel more comfortable during your visit. There are a huge variety of dental emergencies that might cause you to seek help from an emergency dentist in the Austin area. A cracked or chipped tooth is considered a common dental emergency that could be handled by an emergency dentist. Other dental emergencies include a tooth that is knocked out or partially dislodged, objects that are lodged between your teeth, a lost filling or crown, broken or damaged braces, and abscesses or soft tissue injuries. Some of these issues are described below. An abscess is a very serious medical condition that should be treated by an emergency dentist as soon as possible. 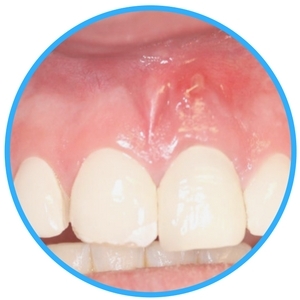 Abscesses are a type of infection that occurs in the space between the tooth and the gum or at the root of the tooth. Symptoms of an abscessed tooth include fever, pain when chewing, sensitivity to heat or cold, swelling of the gums or jaw and a bitter taste in the mouth along with foul breath. Eventually, the abscess can destroy the root of the tooth and spread to other areas of the body. Many adults and children have fillings that fall out or are pulled out while they are eating. Losing a filling exposes the damaged area of the tooth and may or may not cause pain. When a filling is lost, it is important to visit an emergency dentist as soon as possible to replace the filling and prevent further damage to the tooth. A lost filling does not have to be a problem. Placing a piece of sugarless gum or an over-the-counter dental cement into the cavity will protect the damaged area until you can visit your emergency dentist to have the filling replaced. Do not use sugared gum because this can cause pain in the exposed cavity. 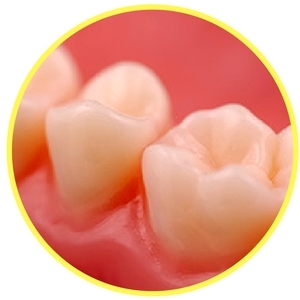 A crown can become loose or fall out if the tooth below the crown continues to decay underneath the crown. If the crown feels loose or falls out, the area can become extremely painful. It is important to see an emergency dentist as soon as possible when you notice a loose or lost crown. If you find the crown, you might be able to place it over the exposed tooth. First, clean the inside of the crown to remove any food particles that might be trapped inside. Then, coat the inside of the crown with dental adhesive or dental cement. You can purchase this product at most drug stores. You can also use items like denture adhesive or even petroleum jelly to hold the crown in place until you can reach your emergency dentist. 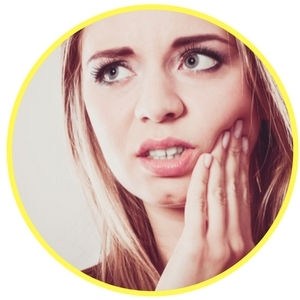 There are generally three reasons that a tooth might require emergency extraction. These situations include decay, trauma to the tooth, and also disease. An emergency tooth extraction requires immediate attention from an emergency dentist because the tooth can become infected. An infection requires medication and can even spread to other parts of the body, making it more difficult to remove the tooth safely. The faster you act to have that emergency tooth extraction, the less likely you will be to have complications or infection. Visiting the hospital emergency room is important when a person has received an injury due to an accident or a sports injury, or even a fall that causes damage to the teeth. In these situations, it is possible that the person has injuries other than those that are usually addressed by a dentist. In this case, it is best to choose a hospital emergency room for treatment prior to going to visit an Austin emergency dentist. If you choose to visit a hospital emergency room rather than a dental office, the doctor at the hospital will prescribe medications if they are required to control pain or infection, but they will not address the actual damage to the teeth. When visiting an emergency dental clinic, the dentist is equipped to provide all necessary treatment to resolve the pain and damage that is causing your need for the emergency care. In Austin, there are several dentists who offer weekend and after-hours care as late as 7 p.m. in the evening. There are also numerous clinics that offer walk-in, same day and next day appointments. 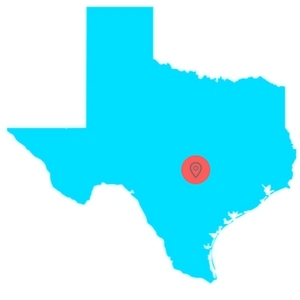 You can use the Texas Dental Association’s website located at: http://www.tda.org/ to ensure that the dentist you choose is licensed and certified in the state of Texas. You can also check a dentist’s certification at the American Dental Association website located here: http://www.ada.org/en. Also, using the EmergencyDentistsUSA.com referral service makes it simple to find the Austin emergency dentist who is available to treat your dental emergency at a time that is convenient for you. Call Now For Immediate Austin TX Dental Care!